Known for its bicycle and pedestrian friendly streets, the capital of Slovakia, Bratislava is one of the most beautiful cities of Eastern Europe. The country is landlocked by Austria and Hungary sharing the mighty Danube River with its neighbors. The city has a rich medieval history that can be revisited in the Old Town Hall or at the Bratislava Castle. The charming city is surrounded by mountain landscapes and sprawling acres of vineyards. The cobbled streets of the city are lined with many cafes and restaurants that serve the most scrumptious Slovakian food. This column suggests some of the best Bratislava Restaurants one should visit when in the country. 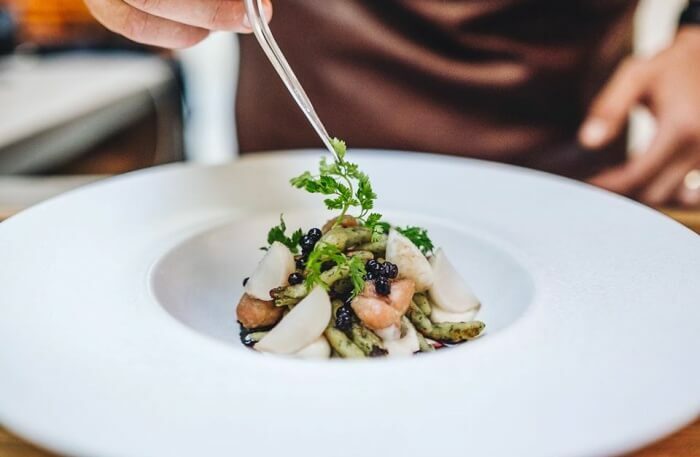 From budget to luxury, vegan to meat-serving, we have got for you all kinds of restaurants in Bratislava that you can dine at during your trip to Slovakia. 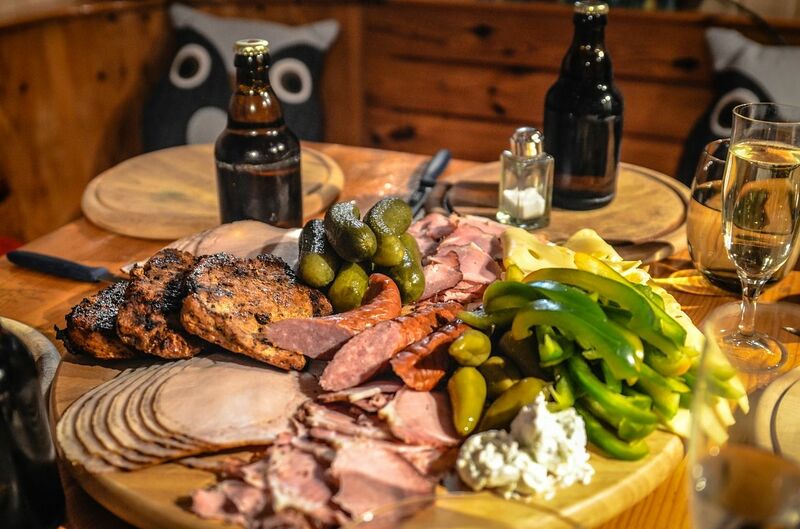 Looking for some authentic Slovak cuisine to try? Bratislava Flagship restaurant is the right place to give it a shot. It is one of the biggest pubs in the city that not only serves the best Slovakian beer and food but also sells their very own cheese and wine collection in the condiments store. As soon as one enters, a narrow passage takes one to the bar and the condiment store. Further course opens up to the large restaurant that resembles the wooden deck of a medieval ship. 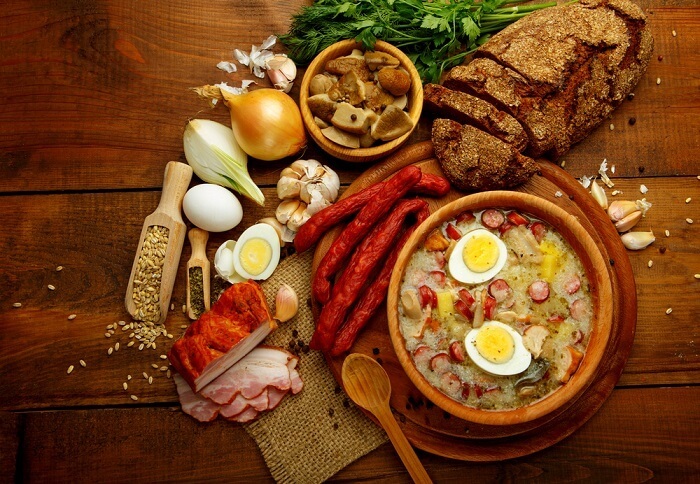 Traditionally, the Slovak cuisine is very cheesy and rich in fat composition. One should try the Bryndzove halusky which is nothing but potato dumplings in sheep cheese sauce accompanied with roasted bacon. 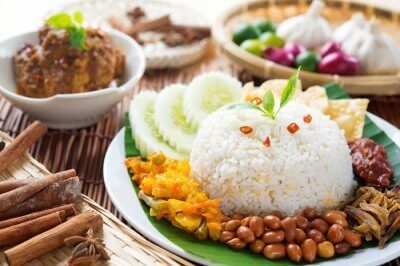 The authentic meals are generally sweeter and they come in large portion sizes. One can even try the simple bread garlic soup or schnitzel here. 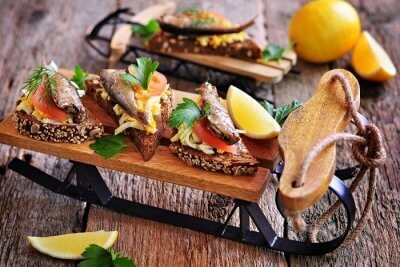 Overall, the restaurant assures a good meal and environment for a taste of Slovakia. Green Buddha is one of the very few restaurants in Bratislava Old Town that serves the best Asian fusion food in the country. 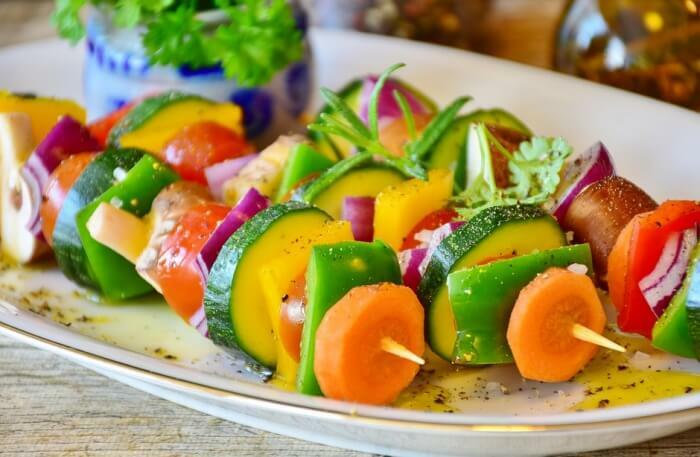 The restaurant is also highly vegan and vegetarian-friendly that makes it one of the most sought-after restaurants amongst tourists in the country. The ambiance of the restaurant is no doubt Asiatic but also manages to deliver sophistication. The restaurant has an outdoor seating that gives the best views of the Old Town. Known for its high-quality food and a rich collection of wine, the restaurant presents a perfect environment for romantic events. 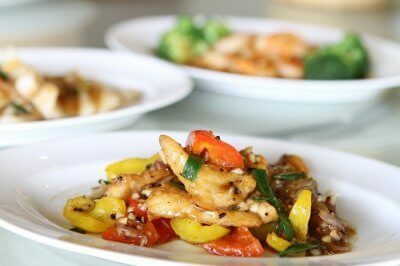 The lunch menu is also famous for its light yet tasty fusion food options. The portion sizes in this restaurant are apt and the spice quotient of the dishes are appropriate. One should definitely try their red duck curry and fish delicacies. The raw papaya salad and satay make the best entries here. For desserts, one should try their Tres Bon Thai. 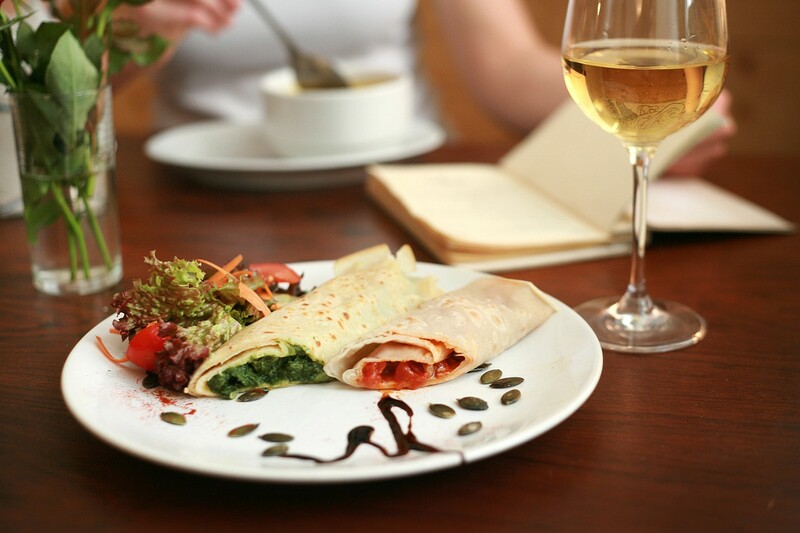 Often listed under the good restaurants in Bratislava list, Bistro St. Germain is famous for its French cuisine and ambiance. Located in a pretty corner street, off the Old Town main square, Bistro St. Germain is a little restaurant that is perfect for an afternoon lunch with friends. The interiors of the bistro are chic and elegant. The bistro even has its own library that is open for the customers where one can relax and enjoy their coffee and cakes. If visiting in winters, do not forget to try their delicious variety of soups and club sandwiches. The bistro also serves some light alcoholic drinks along with their main course. The place is famous for their wraps and burgers. 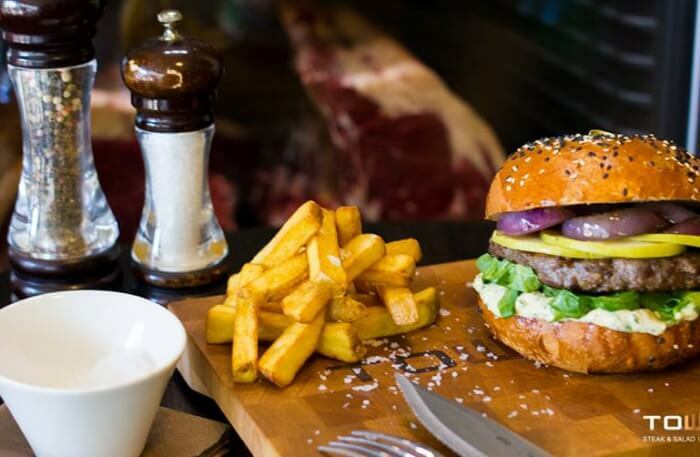 With its unique title, this hamburger restaurant is one of the cheap eats in Bratislava. 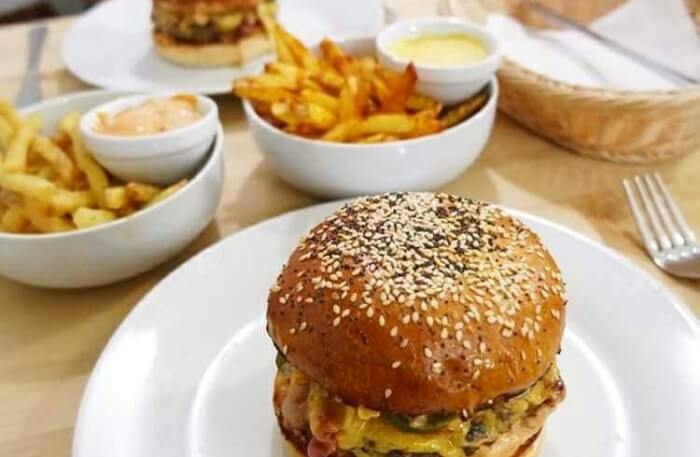 If one wants to get a quick bite without burning a hole in the pockets, Roxor Brgr and Beer is the place to head to. As the name suggests, burgers and beer are pretty much what they serve but the quality is top-notch. This American fast food place does not serve any vegetarian alternative. The hamburgers come with a good portion of homemade fries and delicious dips. Beer works as a great accompaniment to the amazing burgers. It is located off the main city center but is easy to find. 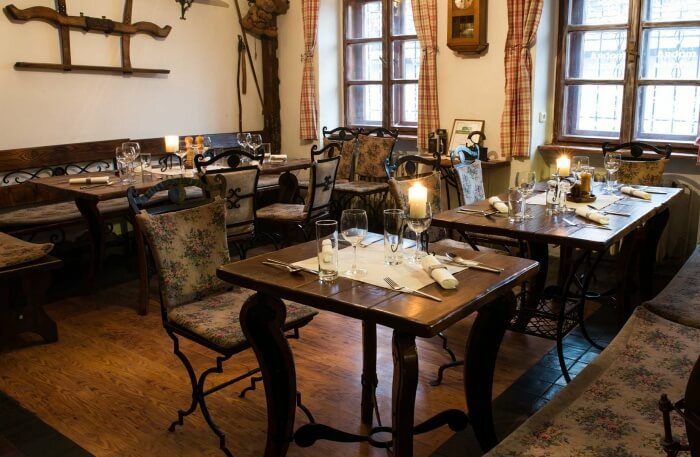 Albrecht is one of the family-owned Bratislava restaurants that is known for its amazing hospitality and location. One can find this high-class fine-dining restaurant by the Danube River in one of the poshest locales of Bratislava. They do give the utmost importance for the presentation and quality of the food. The ambiance of the restaurant is unbeatable with elegant chandeliers and fancy cutlery. The restaurant is vegetarian-friendly and provides a relaxed atmosphere for a quiet night with loved ones. 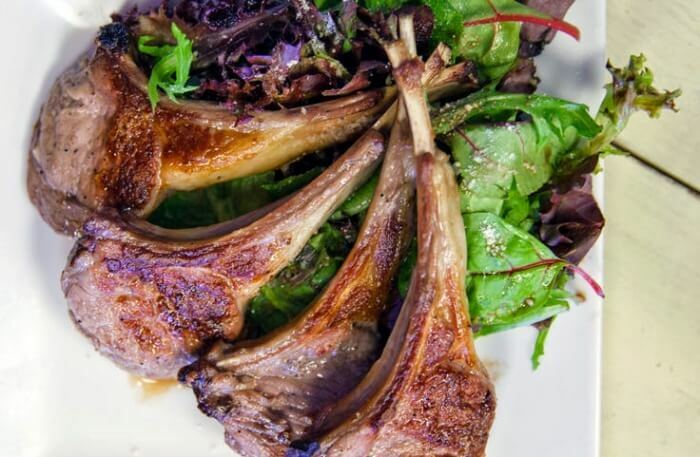 The lamb chops and venison are some of the delectable dishes one should try at this restaurant. Desserts are also out of this world but on the higher side of the price list. Funki Punki is not a conventional restaurant but a creperie that serves a variety of savory and sweet crepes in Bratislava. Funki Punki is the most preferred breakfast spot in the city that fits the bill of cheap eats in Bratislava. This small joint has an outdoor seating facility as well which is perfect for people watching. The creperie is smoking-friendly and also takes pride in serving some freshly squeezed fruit juices along with the delicious crepes. For some healthy Central European cuisine, one should head down to this restaurant in Old Town, Bratislava. FACH restaurant is one of the high-end restaurants in the country that serves food prepared using the freshest seasonal produce. With uber-chic interiors, the restaurant comprises a cocktail bar, a coffee shop and a bakery. The restaurant has a six and a nine-course set tasting menu for its customers. 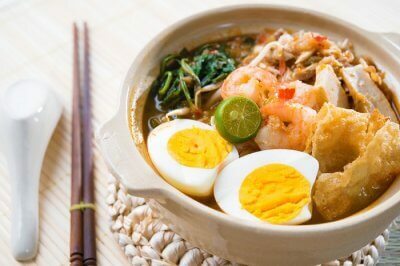 One can either opt for these with an extensive list of bar menu or go for an ala carte option. Reservations are highly recommended at this restaurant and one might have to follow a dress code of smart casuals to dine in this restaurant. Modra Hviezda is among the traditional Bratislava restaurants that serve exceptional local food with a modern twist. Located in the busiest districts of the city, this restaurant provides a relaxing and quiet atmosphere for a city break. The excellent interiors depict a medieval tavern with lowlights and cave passages. 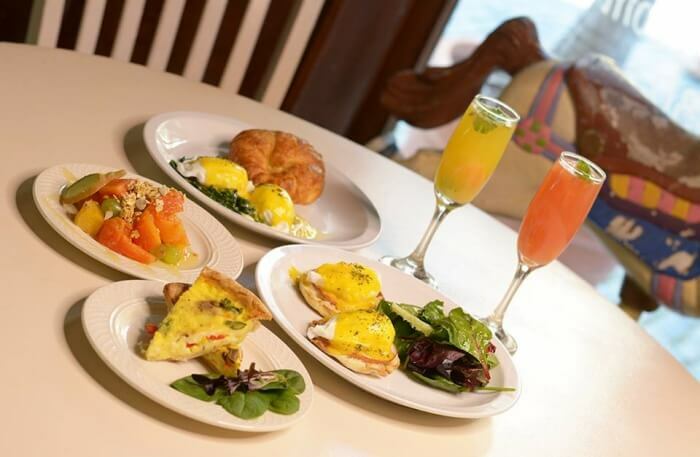 This place is ideal for brunch as well as dinners. 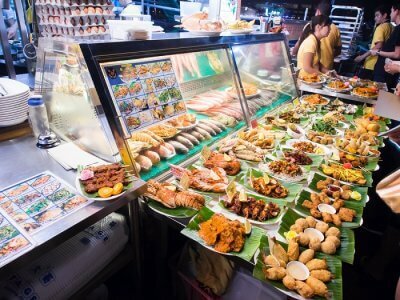 Although this restaurant is vegetarian-friendly, it spoils one with impressive choices of meat dishes. Pork and venison are some of the most opted dishes at this restaurant. It also offers a remarkable variety of beer and wine as an accompaniment for the delectable dishes. One of the decently priced restaurants in Bratislava that serve exceptional steak is the Towers Steak and Salad. Each plate of steak order comes with a huge portion of the grilled steak along with a few greens, fries and a creamy gravy or a dipping sauce. Apart from the steaks, the restaurant is also famous for its fish fillets and pork shoulders. The steakhouse also happens to have some noteworthy desserts and wine collection. 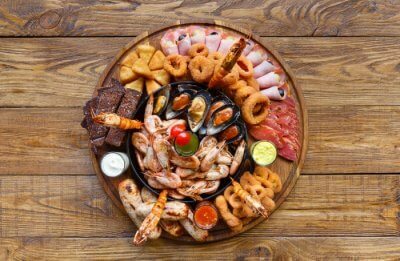 Bratislava is not only known for its scenic surroundings and rich feudal history but for the exceptional food that these Bratislava restaurants serve. One should even try the local coffee when visiting the city. Plan your escape to Europe with TravelTriangle and get an insight into the conventional cuisines of the country while you explore its numerous attractions and fun experiences.